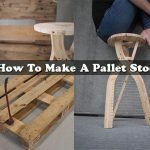 You see all those pallets in superstores ect and you ask your self. 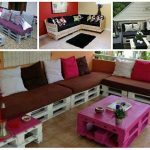 What could you do with all those pallets? 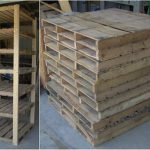 They are not the best quality wood you’ll can find, but why not give them a new life? 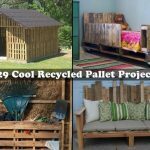 Some companies pay to get rid of their wooden pallets and I think they will be happy for you to take them for no charge . One thing that us gardeners never seem to have enough of is shelf space. 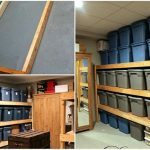 While store-bought units are generally flimsy or expensive, inexpensive strong high-capacity shelving can be built quite easily from common, cheap (often free) wood pallets I am a sucker for pallet projects and love easy diy shelves. so check out this article by clicking the link below.